Chandipur, September 21: India successfully test-fired an indigenously developed surface-to-surface short-range ballistic missile ‘Prahar’ from the Odisha coast on Thursday amid heavy rains. Notably, it is a huge success for India’s point of view and will increase the strength of Indian security forces. 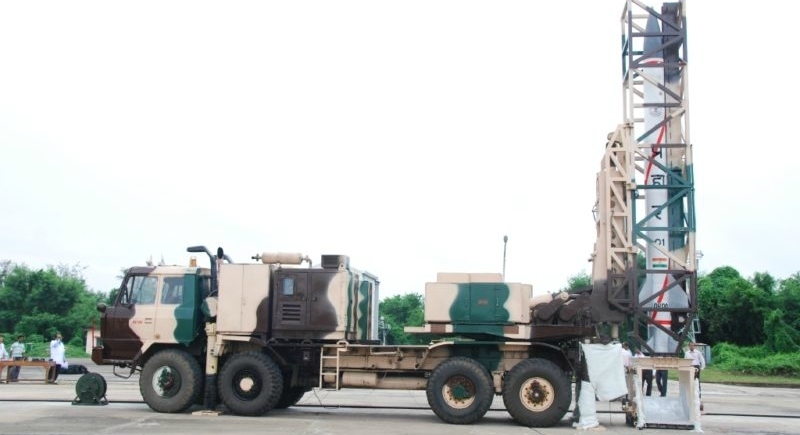 The test of sophisticated missile ‘Prahar’ developed by the Defence Research and Development Organisation (DRDO) was done from launch pad-3 of the Integrated Test Range (ITR) at Chandipur at about 1:35 pm from a mobile launcher. ‘Prahar’ is a solid fuelled short-range missile fitted with an inertial navigation system. It is a quick reaction, all-weather, all-terrain, highly accurate battlefield support tactical weapon system. It also has various tracking radars as well as electro-optic equipment to track and monitor the missile's trajectory. Prior to the missiles test launch, 4,494 people residing within 2 km radius of the launch pad No.-3 at Chandipur were temporarily evacuated to nearby shelters in the morning. A district revenue official said, "As a safety measure, 4,494 people residing in five villages adjacent to the missile launch site were temporarily shifted by the district administration to nearby two shelters with compensation." They returned to their houses after getting clearance from ITR authorities soon after the test was over, the official said. This comes days after the DRDO conducted the first-ever test firing of its man-portable shoulder-launched anti-tank guided missile (MPATGM) system. The test was done at the KK ranges in Maharashtra’s Ahmednagar.